Nicely decorated third floor villa overlooking pool and ocean. Features include: fully equipped kitchen with dishwasher, washer and dryer, screened porch and upper level sundeck, cable television, DVD, WiFi, and access to community pool. Linens included. No smoking. No pets. Entrance with spiral stairs up to private sun deck. Bedroom 1: King bed; HDTV, cable, WIFI, sliding doors to patio. Bathroom 1: Full bath with in tub shower. Living room: Queen sofa bed, HDTV, cable, WIFI, sliding doors to patio. Kitchen: Granite counter tops, steel appliances, fully equipped. Dining: In the kitchen and table seats 4, with extra seating for 2 at the kitchen bar area. We have stayed at Port O'Call many times and love it. It's the perfect place for relaxing and beauty. It's the only place I'll stay. Convenient to everything. Thank you for taking the time to leave a review. We look forward to have you stay with us again soon and don't hesitate to reach out to us if you need anything during your next vacation. Location was fantastic, easy walk to beach and pool, residence was clean and fresh, everything needed for enjoyable and relaxed stay at beach. Very good experience great location great view from condo have rented here in the past with island realty easy access to the beach, covered porch was great for meals and sitting in the evening. We stayed at D301 Port O Call for a long weekend and had such an amazing time of relaxation and quiet. it was very fast and easy picking up the key and finding the condo. The condo was in pretty good shape upon arrival. The furniture is a little worn and could use replacing, but I would give the condo 4 out of 5 stars for cleanliness. We loved sitting on the private rooftop deck, but there were not loungers up there as pictured, just a couple of rickety chairs. We will for certain be back to Wild Dunes, but may try another condo in Port O Call. Beautiful layout with nice ocean views from every room! The screened in porch and crow's nest were really nice areas for outdoor living with views. The building is obviously a little older, but we enjoyed our stay very much. 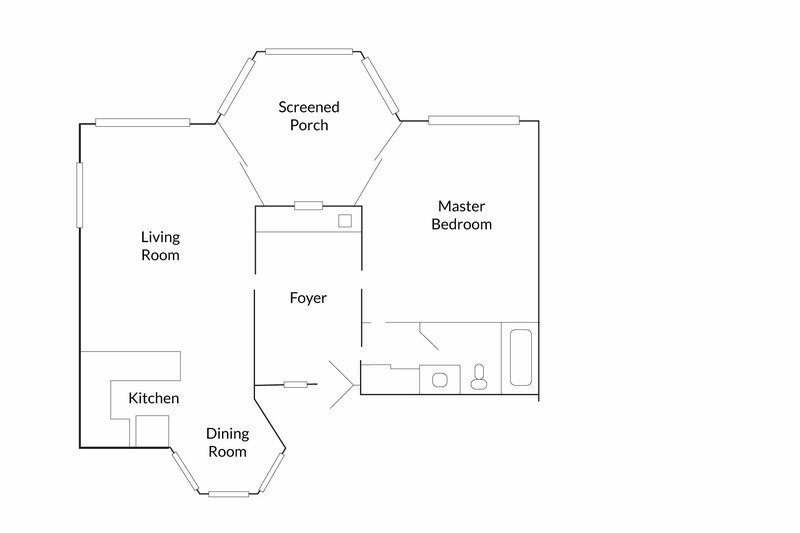 The condo layout is very nice. Getting to the pool with a wheelchair difficult as there are two steps. Wa told that there were none. It was perfect for us, the one bedroom. We surprisingly had our 16 year old who slept on the sofa bed. The rental is a bit worn, needs a bit of updating, but we didn't care. It was clean, nice view, quiet weekend, all was well. Our stay was perfect! Island Realty was easy to work with and our condo was perfect. It was my first time in Isle of Palms. It's a great place to relax with some good dining spots. It really was a perfect honeymoon! I have stayed at Port O Call before and like the location. This condo is roomy however furniture is not very clean and needs updating. Rooftop deck has great views! Bathroom could use updating as well. Overall a nice place just needs some personal touches. Pool and beach great! Would pick this resort again. Location was great. Unit was clean. Kitchen was nicely appointed. Really not much else we needed. Bathroom looked a little run down but it wasn't a bid deal. Decor was very nice. Would have liked a separate place so we could separate our recyclables. Overall would definitely stay there again. Great condo with wonderful ocean views. Ocean view is amazing! Condo is a little tired, but adequately appointed (i.e. kitchen has everything you need). Sofa/sleeper in living room absolutely is in need of replacement by owner. Otherwise, a great stay, and you can't beat the ocean and pool views! Condo was in a great location for our plans, although the weather did not cooperate. Everything we needed was in the condo. Another pleasant visit except for the elevator being under major maintenance that just started the day before we got there. The complex failed to let our rental agent know about this. The agent immediately apologized and gave us an adjustment for the inconvenience. Otherwise, an older unit that has been refurbished very well, very comfortable, and the ocean view is always enjoyable. Our rental was in very good condition with a few minor set backs. The property was smaller than expected, water was typically Luke warm/cold for showing and one of the sliding doors was broken. The view was perfect and the kitchen appliances were in very good working condition. The location and local walking areas were gorgeous! So much to do in Wild Dunes alone and definitely needed s longer stay. All in all - we had a very positive experience and would not only come back but recommend to other visitors. Relaxing with very comfortable accommodations and a great view! The unit was clean when we arrived. Upon inspection though it does appear the bathroom shower needs to be updated. We had good weather and enjoyed our stay. 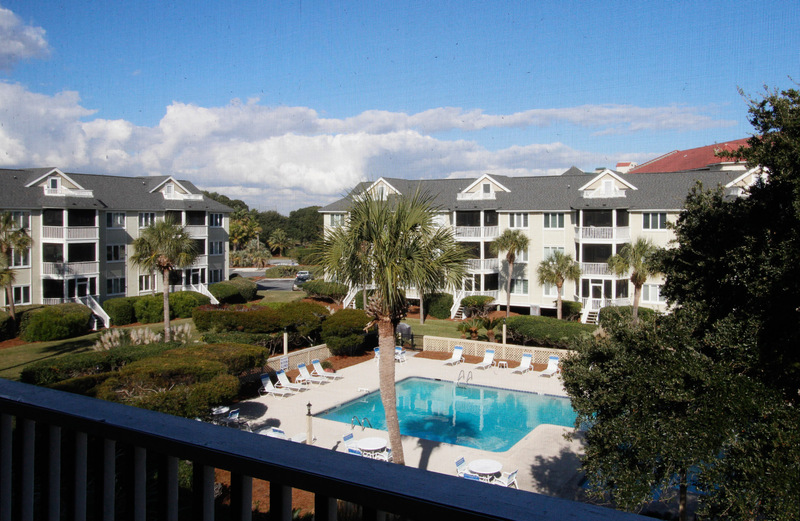 A very relaxing vacation at this third floor condo on the beach located in the Wild Dunes resort area of Isle of Palms. King bed was very comfortable, furnishings were nice, Very clean unit, and an easy walk to the beach. The beach area was large and not crowded - and could here the surf from the condo. Would highly recommend this unit and Island Realty for a very pleasant stay. Love Wild Dunes Resort and the PortOCall units, have stayed in these units many times. Island Realty Staff great. Called the Maintenance Phone number on 2nd day for issues in bathroom-toilet seat loose/dangerous and sink not draining properly. No one every came to fix these things nor did we get any phone call or follow up-very dissatisfied with that aspect. We had a wonderful vacation! We opted to stay in the city of Charleston, but the beach is the way to go if you want to relax. We had sun and sand with the option to visit the city easily by car or by water taxi...best of both worlds. Our beachfront condo was clean with all the comforts of home and an unobstructed view of the ocean..just beautiful! The right time of year. I loved being on the northern end of the island. It is peaceful, beautiful, clean, spacious and we got lots of great shells because of the season. The temps were warm, only one day was was humid, we had some rain but nothing to keep us from walking on the beach. We even slept with the window open at night to be lulled to sleep by the sound of the waves. Ahhhhhhhh! It was wonderful.